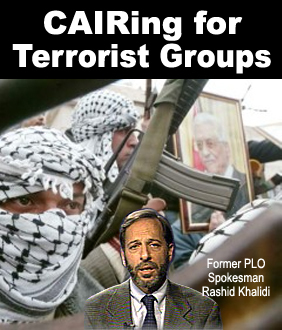 Rashid Khalidi (on c-span 2, books) (Author: ‘Sowing Crisis’) wants us to believe that Islamic republic of Iran is “not” linked to the terror organizations: Hamas, Hezbollah and that these groups have “legitimate” concerns. Desperate as he is to act as if he’s on a ‘research’ row and making a show of someone who’s really “looking at the region from a broader angle”, he did talk at first quite smoothly, dancing around and mentioning “other” problems we the USA have (supposedly) created in the region, like Afghanistan, Iraq and Iran (no, he didn’t mention Carter’s role in indirectly overthrowing the Shah, that led to the current Islamofascistic totalitarianism), you almost thought that Rashid might really be an academic, in the real sense of the word. But as an average Arab Muslim “academic” he can never escape his burning Arab-racism against the Jews, though polishing his way to the maximum, he had to come to his essential venomous point, all in all, his punch line is really, the same old hateful cliche theme, “It’s all Israel’s fault”, especially towards the end, when he was asked some questions, you could see how he was “lit” as if by a switch that turns on the Arab “moderates” hatred flames – they can never seem to resist, and fall into it each and every time. To his credit, most Arab propagandists are less patient… you don’t have to wait even that long to see their outbursts. It was a small room, filled by either Arabs, or the gullible, one Arab “American” journalist is even a brazen open Jihadists-Hamas-Hezbollah supporter, none has asked about his propaganda statement that Iran fears Israel’s nukes – as a “reason” for why they might be pursuing nuclear weapons, no one has asked the obvious: Did (democratic) Israel ever threaten to wipe out (oppressive) Iran like the Islamic fascist genocidal Republic did? or did Israel ever attack Iran like Iran attacked Israel via Hezbullah, Hamas, Islamic Jihad? Never mind his Pro-Jihad statement defending Hamas, Hezbollah, portraying them as “political” movements with “concerns”, and no one was refuting him – pointing to the true nature of these Jihadists that openly declare their real goal – to erase Israel. If you were to turn in towards the end, all you could hear is repeated word “occupation”, more than a few times… (as you know), all crimes under the sun are all washed by this excuse, used by the children of Arab immigrants, (that have invaded the land of Israel – “Palestine,” since the 1800’s), and is being heard by him, as by any Arab “journalist” like a spiral. Solomonia Archive: Columbia Watch: Rashid Khalidi On the other hand, this is Rashid Khalidi, and he does represent Columbia … . Jan 20, 2009 … Hamas’s Academic Cheerleaders [incl. Hamid Dabashi, Rashid Khalidi, Fawaz Gerges, Joseph Massad, Muqtedar Khan, Mark LeVine, et al. Camera-Ready Victims [incl. Rashid Khalidi]: Hamas practices human sacrifice; the world shrugs. – Campus Watch.